Chili powder is a combination of ground, dried fruit of red or cayenne chili peppers and other spices. 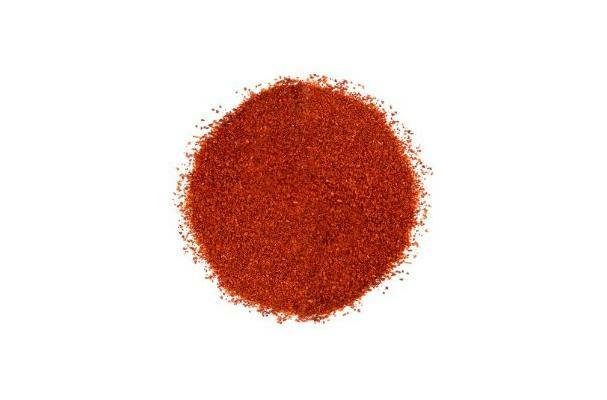 Chili powder is used to add heat or spice to dishes. The heat and flavor of the chili powder varies depending on the amount and variety of chili used. Chili powder is regularly used in traditional Indian cuisine and has become increasingly popular in a lot of American dishes, but Chili powder in fact, had been used by ancient civilizations like the Incas, Aztecs, and Mayan Indians long before Columbus came. Chili powder is simply dried ground chili peppers,The peppers may be virtually any hot pepper including cayenne, ancho, jalapeño, New Mexico, and pasilla chilis. Choosing: You choice of chili powder is should be based on selection at your local grocer and by which brand you prefer. Buying: You can purchase at your local grocery store in the spices section. Procuring: In other cuisines, the hot chilis may be blended with mild paprika chilis, and other ingredients are included which usually include cumin, oregano, garlic powder, and salt. Other ingredients may include black pepper, cinnamon, cloves, coriander, mace, nutmeg, and turmeric. Chili powder is used most commonly to flavor – as it should be – chili con carne. The blend was likely originated by Indian cooks, who have a history of skill with potent ground spice blends. Chili and chili powders can be found in most supermarkets, grocery, and specialty stores. The powder is keeps well when stored in an airtight container out of direct sunlight.